Leave Resorts Behind & Head To The Country’s Best Bed & Breakfast! Does the concept of bed & breakfast seem fancy and foreign to you? Well, here is an opportunity for you to get over that feeling. Let your first B&B experience be the best. The country’s awarded best B&B is a 35 minutes drive from where you live. It’s a pity you haven’t still been there. Know more about the ‘House Of Kapaali’ and get planning. The weekend isn’t far away! Madly in love with life, with a penchant for yoga, travel, fitness, and design, sisters Mansi and Suhani are the creative minds behind House of Kaapali-a boutique Bed & Breakfast and a chain of Serviced Apartments located amidst the verdant greens of Greater Noida. House of Kapaali opened its doors in 2007 with just two rooms on the first floor of their home. In a little less than a year, they had managed to create a small niche in the market space. The moment you come through the doors, the warmth and energy are all-encompassing. The vibrant interiors, the homely feeling, it is an adobe for wellness. With daily yoga classes and healthy food, this is the ultimate detox you’re looking for. 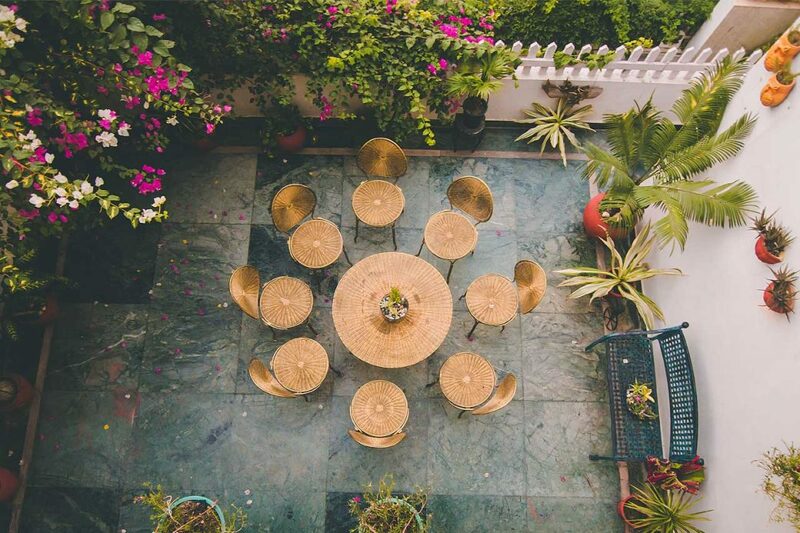 Get away from the city and indulge in some fresh healthy food, yoga, and every corner you’d want to Instagram. The bottom line is that you live a small drive away from the country’s best bed & breakfast. It’s a fortunate opportunity to be able to drive up and spend your weekend here! So don’t wait anymore. Book your retreat and get excited about a much-needed detox!